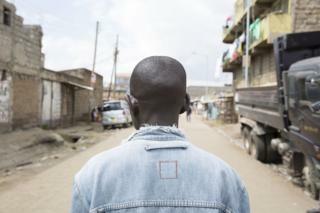 Edward: Growing up in Dandora there was little time for fun and games. 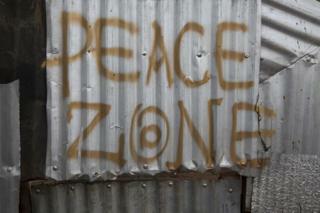 The world watched in horror as violence swept across Kenya 10 years ago, in the wake of a contested election. A decade later, two men heavily involved in that violence have united to try to prevent a repetition after Tuesday's vote. But they know, reports Alice McCool, that a return to violence is what some politicians and gang leaders want. "Utaona. It means 'you will see'. That's what the boys in the neighbourhood keep saying," says Edward, eyes wide. We are sitting in a sunny courtyard in Dandora, an informal settlement in east Nairobi - home to the city's rubbish dumps, and much of its violent crime. It's days before the Kenyan election, which has become an increasingly tight race between President Uhuru Kenyatta and opposition leader Ralia Odinga. Posters of the smiling faces of candidates are plastered anywhere they will stick, and buses rammed full of supporters waving flags and dancing to afropop tunes can be found on every corner. Edward and James (not their real names) are noticeably tense. Both now pushing 40, 10 years ago the men were among the perpetrators of the widespread post-election violence, which took the lives of about 1,500 people and displaced 600,000. 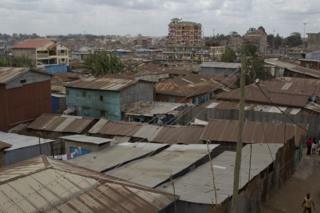 Dandora, their home, was a hotspot. "This time we have been going house-to-house, telling all people that whatever the outcome of the election we should respect it because we live together," says James, the taller and surlier of the two men. "There is no need to destroy our environment that we have invested in for so long." Walking from James's small office to Edward's home in a different zone of Dandora, they point to the rusty, once colourful gate of the primary school they attended together. 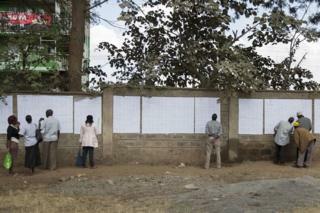 Inside the compound people are busy checking long printed lists of voters' names that have been pinned up on the walls. "We'd meet during break-time in the playground. We played with footballs made out of polythene bags," says Edward. But growing up in Dandora there was little time for fun and games. From the age of nine Edward was fending for himself on the streets, stealing and collecting rubbish for survival. James remained at home, but with an abusive father who came back every day with a new stolen car. At 15 he fled too. 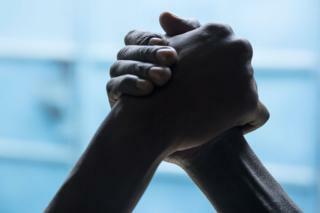 Having both learned about violence from an early age, soon the boys joined rival gangs. "When we grew up we could not be together because we belong to different political affiliations," says James. 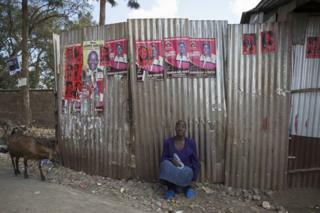 This means they are from different ethnic groups: Kenya's politics is largely drawn along communal lines. But both men say their role in the violence of 2007-8 stemmed mostly from poverty. "I could not afford to sustain my basic needs... I just saw it as an opportunity to make money," says Edward. Violence was also a way of compensating for his inability to fulfil the traditional male role of provider, for himself or anyone else. "I had to use my physicality to be courageous in front of people," he says. Gang leader James was paid by corrupt politicians and businesspeople to fight and intimidate. In 2007, as Dandora descended into lawlessness, his group's usual activities moved from dark alleyways into broad daylight. "I allowed myself to be manipulated, and bad things happened. 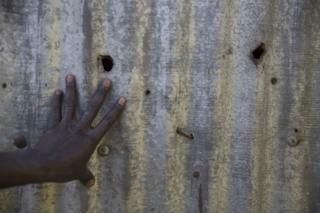 Property was destroyed, people were beaten up, there were forced male circumcisions, violence against women was rampant. I did all those things. If you didn't do it people would turn against you." When the unrest came to an end, Edward fled the area, afraid of confrontations with neighbours he had terrorised. His remorse came hard and fast, but he did not know how to put things right. "I felt sadness in my soul. I was fearful and didn't want to talk to people. I became somebody who was in exile," he tells me. 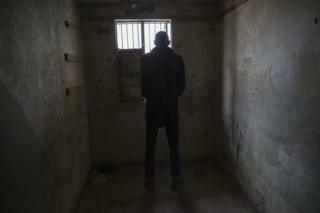 James stayed with what was left of his gang in Dandora, but he too became isolated in a home that had become a "ghost town", he says. "I couldn't express myself. I would stay inside, sometimes I wouldn't even leave the house for days." Over the next five years, James and Edward saw their brothers get murdered in gang wars, or punished for their roles in the 2007-08 violence with life prison sentences or extra-judicial killings. By 2012, both knew they had to make a change, and by coincidence, both turned up for the same training course on inter-ethnic dialogue run by a local charity, the Community Education and Empowerment Centre. "Before that, the last time I remembered seeing Edward was during those violent weeks - from a distance," says James. It took a long time for the men to begin to trust each other, but eventually, with help from a mediator, they began to talk. "We realised that our common enemy is the issues which life has thrown at us, not each other," Edward says. On a later course they thought long and hard about what it means to be a "real man". Ultimately, Edward found himself able to speak out about the electoral violence for the first time. "I became strong enough to reveal what I did and to realise that I should not do it again. For the first time, I was empowered," he says. James sought reconciliation with a single woman, now in her 60s, whose home he helped to burn to the ground 10 years ago, even though he knew her and her family well. Both expressed a desire to live like neighbours, undivided by politics, he says - though in reality the area where she lives in isn't somewhere he can easily visit. Fearful that history will repeat itself after Tuesday's election, James has taken the risk of attending late-night gang meetings with politicians to gather intelligence about potential unrest. "They are arranging violence. Encouraging people to go and vote, and to arm themselves," he says. Both he and Edward have ensured their wives and children are not in Dandora at election time. But by mentoring young men and boys in their community, encouraging them to break away from gangs and helping them to find work, they are hoping to make a difference. A couple of them, younger versions of James and Edward, join us in the courtyard. Jonny, 29, says he's able to talk to James about all his problems. After spending more than a decade in gangs, he worked hard to build a new life and has recently qualified as a plumber. Michael, who was just 11 years old when he became caught up in the electoral violence of 2007, has already lost friends in gang warfare. "Where I come from they say that men should be tough," he says, touching on a theme he has discussed with James. "But they also say women should not. So they find that when a woman tries to disagree with a man, he will come into a fist fight to make her quiet. "So I don't think society should say men should be tough. That's the old way. It has caused so many problems. We should all be free and equal now." Such words are not typical for the young men of Dandora, but the fact they are spoken at all hints at a brighter future for the community. The fact that Edward and James are able to walk side by side in Dandora, three days before the election, is also a sign of hope. "Now I understand the meaning of living like a person, like a human being," says James. "I never had that before."